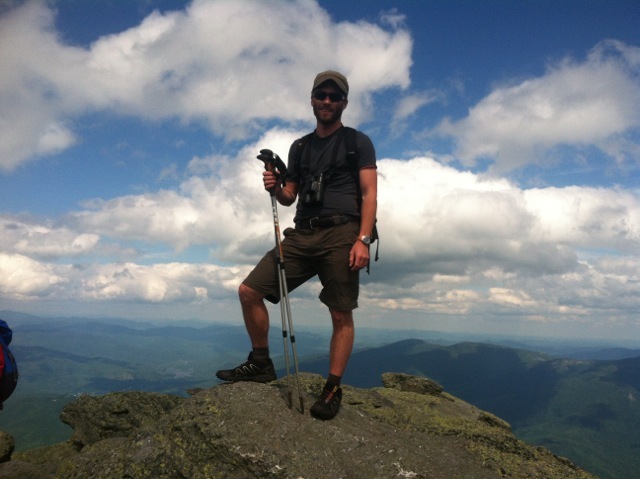 “I am interested in the vulnerability of montane songbird communities to the effects of climate change in the Presidential Range of the White Mountains of New Hampshire. For this reason, I am working to tease apart the complex relationship between fine-scale montane climate and forest composition in determining the distribution and abundance of individual songbird species along the transition between low-elevation northern hardwoods and high-elevation spruce-fir forest. In this way, I hope to reveal the pathway and degree to which climate change will most greatly affect individual species as well as their community assemblages; indeed, some species of these mountains have recently undergone precipitous population declines and most have exhibited shifts in their elevational distribution. The value of this research is the ability to better predict how species may further respond to changes in montane climate and forest structure. For managers, this information is imperative in order to continue to best conserve high-elevation spruce-fir bird communities under climate change scenarios and land use change”.